The name says it all. It will enhance your gardens appearance whilst being aesthetically appealing. On top of looking great you will get all the benefits of a mulch as well. Grange Garden Health Pine Bark Mulch is made from Australian radiata pine trees which have been chipped and screened. This mulch aids in providing essential nutrients and helps to prevent weeds while keeping the soil cool in summer. Grange Garden Health Garden Chip is a natural coloured mulch that will enhance your gardens appearance whilst providing all the usual benefits of a mulch. Cypress Mulch is great at dressing up any garden while contributing essential nutrients. Grange Garden Health Cypress Mulch is beneficial in retaining water within the soil and aid against weed growth. Our Premium Potting Mix is developed to Australian Standards and is the perfect choice for potted colour, trees and shrubs, perennials, cottage plants, herbs, vegetables, succulents, as well as non sensitive natives and grasses. Grange Garden Health Kids Sand is very specific type of quarried sand that has been screened and washed to make sure that your child can have fun in a clean and safe environment. Our Premium Garden mix is a high quality, versatile mix, suitable for most plant varieties. This premium product is perfect for established garden beds in need of additional nutrition. Like the name suggests, our Native Potting Mix is the perfect choice for native plants, especially phosphorus-sensitive varieties. As with other products in the Garden Health range, Grange Garden Health Native Potting Mix is developed to strict Australian Standards. 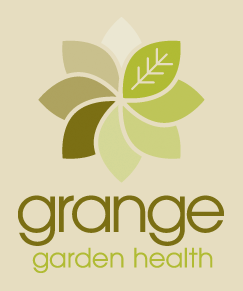 Grange Garden Health Vegetable & Herb Mix supports organic principles and is manufactured to NASAA organic guidelines. As testament to the product’s high quality levels, our Vegetable & Herb Mix is used and recommended by professional horticulturalists. This product will give your lawn the boost that it needs. It is an ideal topdress or underlay to use on all turf grass varieties. It is specially formulated to provide beneficial organic supplement and nutrition to a tired lawn or help establish a new one. Grange Garden Health Cow Manure supports organic principles and is manufactured to NASAA organic guidelines. As testament to the product’s high quality levels, our Cow Manure is used and recommended by professional horticulturalists.